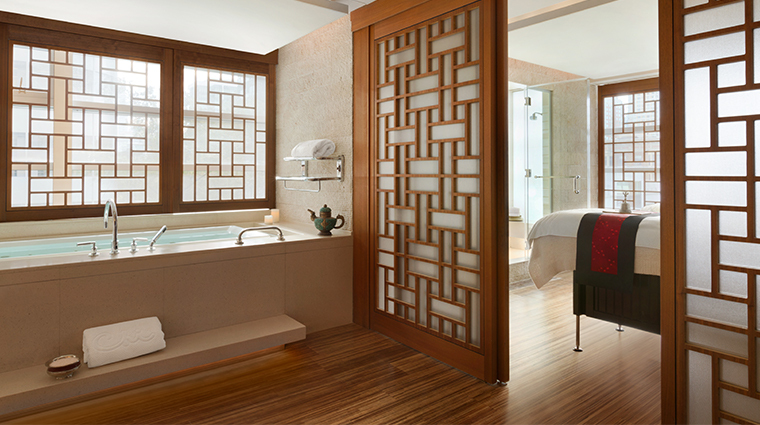 CHI, The Spa at Shangri-La draws inspiration from the origins of the Shangri-La legend, a place of personal peace, enchantment, and well-being. In traditional Chinese philosophy, “chi” or “qi” is the universal life force that governs well-being and personal vitality. For people to maintain good health, it is believed that “chi” must flow freely within the body. 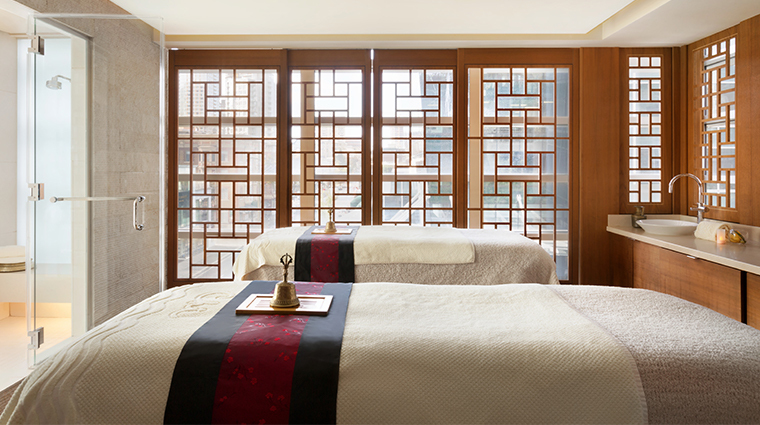 CHI, The Spa is your personal sanctuary where holistic treatments are based on time-honored methods shared by many Asian cultures. Surrender to the intuitive touch of the spa's skilled practitioners and allow the treatments to revitalize the body and soothe the senses. 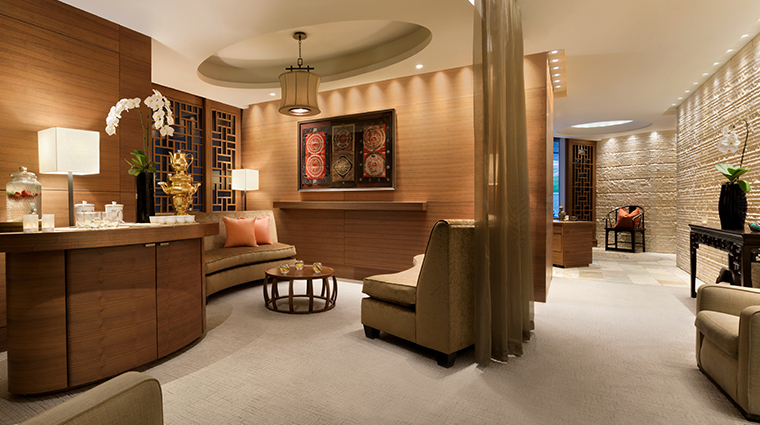 • In Vancouver, CHI, The Spa at Shangri-La features an exclusive selection of treatments inspired by the natural beauty of the West Coast of British Columbia. • These Sense of Place treatments utilize certified organic products, made using hand-harvested wild seaweeds from the pristine coastlines of Vancouver Island. • CHI also offers the opportunity to explore far away and exotic destinations, and has found inspiration in other CHI locations around the world. • Sense of Adventure treatments are waiting to whisk you away, with signature massages from Thailand, India, China, and the Philippines. • No matter what treatments you indulge in, you’ll step away feeling revived and ready to take on the exciting city, anxiety free. • Whether you are a guest at the hotel or just wanting to experience the stellar spa, it's easy to make an appointment. 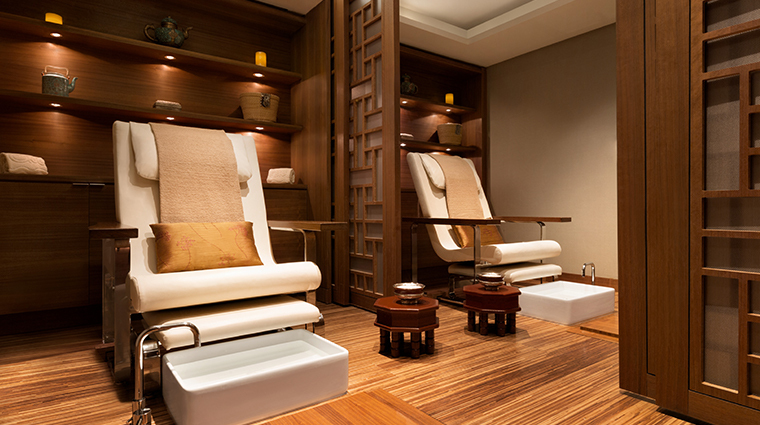 Of course, calling the exquisite spa is probably the best way if you have any special requests for your service. • Though we wouldn’t want you to miss out on a treatment, we know that sometimes you just have to cancel. As long as you let the Forbes Travel Guide Four-Star spa know at least 24 hours in advance, you won’t be charged a penny. • Couples can escape to a tranquil oasis in the heart of the city thanks to the Couples Retreat. 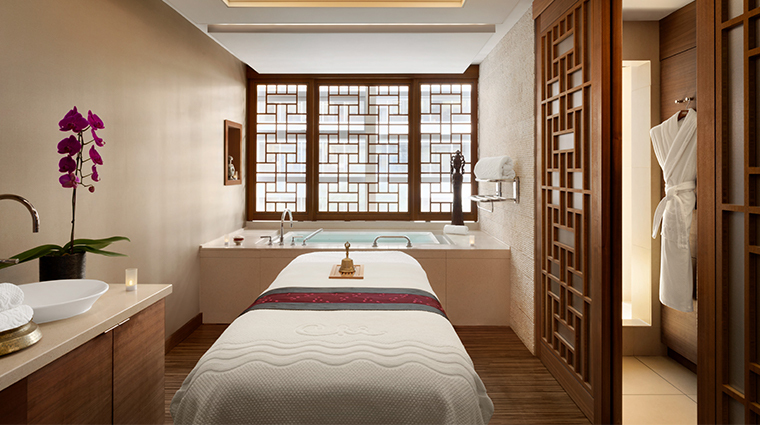 This signature CHI Journey is jam packed with indulgences like a traditional footbath, tea service body wrap and a West Coast wave massage just to list a few. • Whether you opt for one of the signature massages or try something new with the wellness massages, you’ll be more than relaxed during your treatment. • From one of the signature services (Aroma Vitality, CHI Balance) to the world of global options (Wushu stress relief massage from China and a tension-relieving Ayurveduc Podikizhi Massage from India to name a few), this Forbes Travel Guide Four-Star spa offers plenty of stress-easing options. • Melt your worries away with a therapeutic massage performed by a registered massage therapist, or opt for the West Coast Wave massage that harnesses the anti-aging powers of seaweed using organic products made on Vancouver Island. • With its proximity to the Pacific Ocean and its northern location, your skin will certainly need some hydration. The various wraps can indulge your parched skin in luxurious treatments chock full of replenishing ingredients.